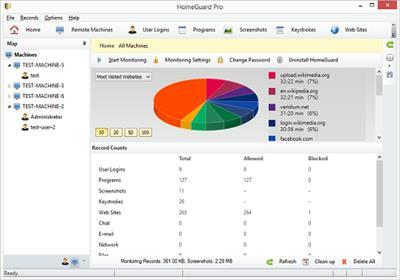 Description: HomeGuard Professional is an easy to use activity monitoring tool for tracking and controlling the use of computers in home and office networks. HomeGuard records web activity and automatically blocks all adult and inappropriate content in websites in addition to customizable website block and allow lists and filtering based on file types (e.g. : exe downloads or online flash games). It also records detailed reports on usage of programs including active usage time, run time, bandwidth used, mouse clicks and keystrokes typed in each program with the option to block or time limit certain programs or games. Plus screen capture, periodically or based on specific activities, chat and email monitoring and filtering, printer and USB devices monitoring and blocking, Internet time restrictions, network connection monitoring and filtering, email notifications and more. 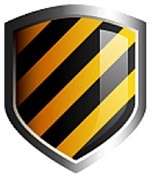 HomeGuard runs, by default, in stealth mode completely hidden and undetectable, however, it can be set to show warnings to users when anything is blocked. Either way it is uninstallable, unclosable and cannot be bypassed using proxy servers.